actually a bunch of stories! A limited offering while supplies last. 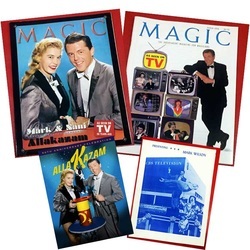 MAGIC Magazine published a special issue in Oct 2010! especially for that historic Allaka-celebration! All, Following-up on a great article from March 1998 issue! Free with each order, for all of these Collections. Originally available only at the Anniversary Celebrations, but now available to you! This limited edition program is full of beautiful images not published in other collections. Also featuring original articles by Mike, Nani, Rebo, and Mark! 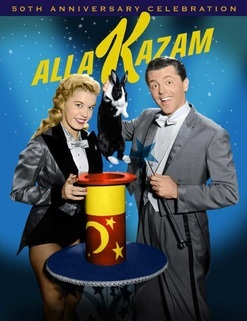 to advertise shows Mark and Nani did during the off seasons from the TV series. We can personalize it for you! 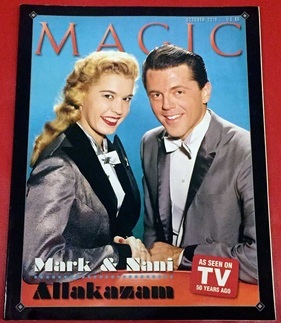 The March 1998 MAGIC Magazine is one of the top 25 covers selected from over 300 issues by the publishers of MAGIC Magazine! The articles in this issue are fantastic reading and so far, not available in the online digital collection. 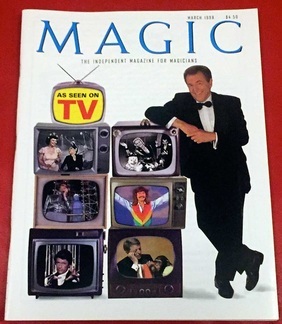 A great history of Magic on Television. And you get the Free Flyer! The 2010 October Issue of MAGIC contains a special section of photos that Stan just wanted to publish because they are so good! These photos have not been featured anywhere else, and were scanned especially for this issue. The Cover is also a rare image, scanned and published only in this issue! This is the ultimate FULL Collection. Thank you for all your support. If I find more, I'll let you all know. But that's what I have dug up for now! All items are sold "as-is" and may be personalized. Because of this, we ask that you kindly understand that we are not able to accept returns. Please be aware that this is a final sale to you, and we thank you very much for your support. 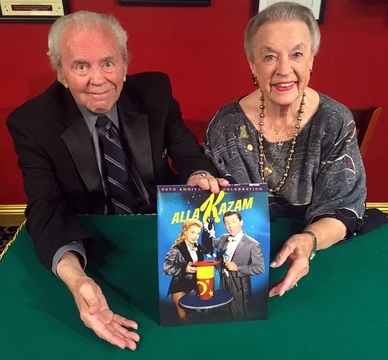 As you may know, the items we sell from the Allakazam Archives are sold to help maintain the rest of the collection, and every dollar received is needed and greatly appreciated. 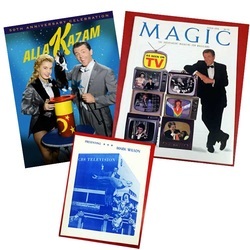 * The Allakazam 50th Anniversary Program and MAGIC Magazines are individually autographed by Mark, & Nani (and Greg). Because of this each one is unique, being signed one at a time. Please understand that many variations occur in this process, which actually make each one more valuable! 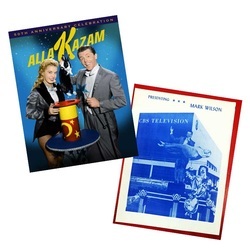 ** The Allakazam Flyer is a single sheet of paper, 11"x17", folded in half, printed on both sides. We will do our best to preserve them for you, but please understand that some normal aging can affect these Flyers as they are over 50 years old! Thank you for cherishing them as much as we do. Thank you again for your support. It is only with your help that we will be able to continue to keep the Allakazam Archives active! Thanks to Steve Mitchell for his graphics and artistic contributions.